Diamond Magic Cash (MCash) is a newly introduced card-less service that enables Diamond bank Users/customers withdraw their money from any Diamond ATMs without the use of any debit card. The service is actually a nice one that helps when you travel or leave the house without remembering to go with your debit card (VISA, MASTER, National cards etc ) then this will serve if you wish to withdraw cash from your account. Don't Miss This: Check out All banks Short USSD Transfer Code Through Your Mobile Phone + Steps. How To Register Or Get Magic Cash (MCash) Work For You As A Diamond Bank Customer. >> Go to any nearby Diamond branch, locate the Customer Care Bankers and tell them you want to register for Magic Cash Service. After the registration, follow below. >> From the number you registered your Diamond Magic Cash Account with, as in the number you wish to receive your daily Alert if you make any diamond transaction on the account, Simply Text ATM to this number 30811 in order to generate a six digit Magic Code. Copy the code somewhere and save for future use. 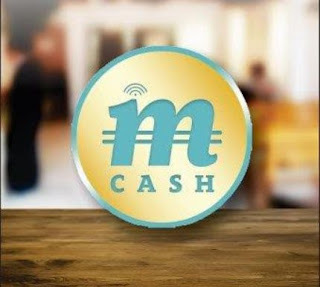 (As the code is very important for Most transactions on MCash account). >> Then go to any nearby Diamond bank branch and locate their ATM, now on the ATM machine select Magic Cash option. >> Now enter the six digit Magic code generated from one of the above steps. >> Now create a new 4 digits Magic PIN which will be used for any further transaction from the ATM and then confirm it by re-entering it as prompted by the Automated Machine. Note: after creating this first 4 digit Magic PIN, it will always be required for subsequent transactions you make in order for it to be successful. So secure and recall any digit you choose to use. And also know that Magic Cash is available to Diamond Bank customers alone. So if you are not banking with them, you won’t be able to enjoy from the service. >> Get The Swift Codes For All Banks In Nigeria here. Now, enter your “Magic Transfer Code” on the provided section on the screen. You will be required to enter a six secret digit numbe (sent to you by the sender). The transaction summary will be displayed for you to cross check the details you entered earlier, whether correct or not. Now confirm the transaction by pressing the Enter button and cash will be dispensed. That’s all, and a receipt will be generated for the successful transaction made. Just earlier today, Diamond bank added another service to Magic Cash (MCash). And the service is all about digital payment for goods and services with mCash account. The service is actually for making both online and offline payment to items or services purchased by any customer running Magic cash Account at business locations. To use this service, all you have to do, is to dial a short USSD code on your registered mobile number linked to the Mcash. To do that, simply dial this *402*MerchantID*Amount# on your mobile phone, and fill the right details as required on the code. 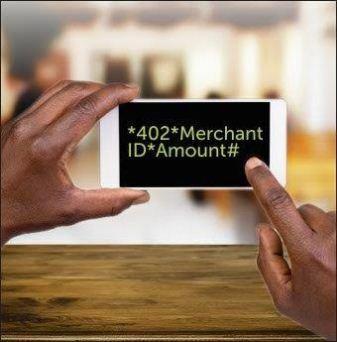 Note: Merchant ID, simply means the numbers representing the Mcash as account number. And it is always issued to any customer after the registration for Mcash Account. So from the code given above for payment, just replace the Merchant ID with the person’s ID you are paying to, then enter the amount in number not in words. >> How To Check All Banks Verification Number (BVN) On MTN, Airtel, Etisalat And Glo Networks In NIgeria. >> Next, choose the account you wish to debit for the transfer and also enter the amount. >> Now, you will get to see the Transaction summary displayed on the ATM screen, cross check the details and then confirm it. >> You can as well, request for receipt that is been generated with Voucher number and Amount. That’s all for Mcash transfer transaction on Diamond bank. How To Get Magic Cash Transfer Fund Paid Directly Into Diamond Account During The Process Of Collection. >> Go to diamond bank ATM and insert your ATM Card, or you can still choose to access the ATM without using the Card, just by using Magic cash option on the ATM screen. >> Just select Magic cash Transfer from the ATM screen. >> Choose the account number you wish to transfer the money to. >> Now, the summary of the transaction will display for you to review your entered details whether correct or wrong. After cross checking, click on enter button or on the screen if screen touch to confirm the transaction. >> That’s all, now the diamond bank account should be credited and a receipt will be generated for proof. only the below banks have activated it to be used by their customers, while others are yet to queue in. Banks that have activated the service include; Diamond Bank, Zenith Bank, Fidelity Bank, Sterling Bank, Union Bank, and First City Monument Bank (FCMB). While some other banks that are yet to activate the service for their customers include; First Bank, Eco Bank, Guaranty Trust Bank (GTB), Sky Bank, United Bank for Africa (UBA), Stanbic Bank, Wema Bank, Unity Bank, Heritage Bank, and Access Bank Bank. As soon as any if these banks introduce the service, we will let you know. Now, Have you opened Magic Cash Account with Diamond Bank before? If yes, we would love to hear from your experience so far. Meanwhile, if you have any contribution or question, kindly use the below comment box to air it out. And don’t forget to let others know about this post by sharing with below social media buttons. Thank you.